After the end of much anticipated and most recognized event in cricketing world, The ICC Cricket world Cup 2015, the cricket fans will be living and enjoying their cricketing love and will see their favourite cricketers from different countries playing together in same jerseys in the eight edition of Indian Premier League. Indian Premier League a T20 Format based tournament which started in 2008 has achieved higher success and fan approval every year and it will be organized for the eight time starting from 8th April. The tournament comprise of eight teams having the most reputed and talented players around the globe who will be playing with players of different countries and against the players from their own country to help and let their team achieve the glory. 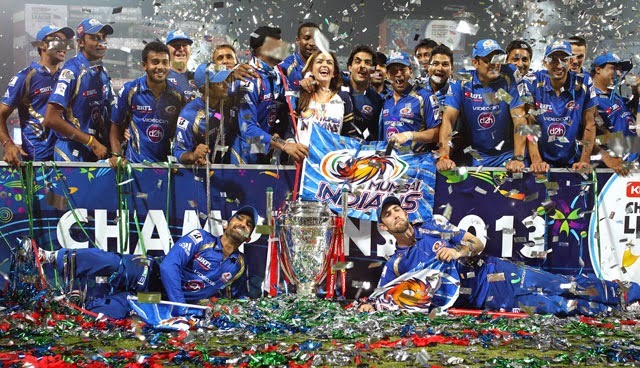 Rajasthan Royals, Deccan Chargers (renamed as Hyderabad Sunrisers), Chennai Super Kings (2 Times), Mumbai Indians and Kolkata Knight Riders (2 times) have been able to lift the cup. While other team such as Kings XI Punjab, Delhi Daredevils and Royal Challengers Bangalore who have managed to reach to the playoffs but still haven’t been able to make it to the end and lift the trophy. But this time around these teams will be keen enough to do that and they are capable enough as they have a pretty strong and balanced team. The IPL will kick off with an eye-catching opening ceremony scheduled on 07 April, which will have performance from big Bollywood stars such as Farhan Akhtar, Shahid Kapoor, Anushka Sharma, Pritam and Hrithik Roshan. The first Match of IPl 2015 will be between the defending champions Kolkata Knight Riders and Mumbai Indians the Previous IPL champions, so you can say it will the battles of champions which will be played at the Eden Gardens, Kolkata the home ground of Kolkata Knight Riders. Kolkata Knight Riders who have retained most of their players from the previous team except Jacques kallis who has been released from the team which might make the team a little less experience but the inclusion of Brad Hogg the world renown t20 Specialist in the team will provide the required experience. The team has a decent mixture of overseas as well as domestic players which will make it easier for the captain to frame a balanced team while following the rule of availability of only 4 overseas players in the playing XI. The tournament will be important for Gautam Gambhir not only because he is the captain of the team and the team is defending champions but also because by doing well in this tournament he might get his place back in the Indian Cricket Team. The Strength of KKR lies in its All-rounder’s and bowlers. The presence of Morne Morkel, Umesh Yadav and Patrick Cummins makes a very lethal pace attack but the stronger part of their bowling lies in their mystery spinners Sunil Narine and KC Cariappa. Yusuf Pathan and Shakib Al Hasan will also play a key role in making it possible to defend the title and to be crowned as champions for the third time. Mumbai Indians on the other hand had a last IPL season which can be divided into two phase, in Dubai they lost all of their five games played there but later on in India they managed to reach the playoffs thanks to some very good performances by Lendl Simmons, Kieron Pollard and a last ball six from Aditya Tare against Rajasthan Royals. Mumbai Indians like KKR have retained most of their key players from previous editions but also have made some good buys in form of Aaron Finch, Aiden Blizzard and Pragyan Ojha. The inclusion of Aaron Finch and Aiden Blizzard will provide more options for the opening pair which has always been an issue with MI. The repurchase of Pragyan Ojha will strengthen their already strong bowling attack leaded by Lasith Malinga and Harbhajan Singh. Both teams has been against each other 12 time previously from which Mumbai Indians have secure wins in 10 matches. The previous meeting may state that the cards are in the favour of MI but as they always say you can never predict what’s going to happen in cricket. But all you can predict that if both of the team plays to their potential you will see a cracking game of cricket where many star players will looking to make a good start to a very long and important tournament.